ROC 56 Welcomes TUF 16 Alumni Julian Night Train Lane | Lou Neglia's Ring of Combat | Next Generation of Mixed Martial Arts! Promoting and matchmaking isn’t for the feint of heart. Solid fights are made 2-3 months in advance only to fall apart 2-3 weeks from event date causing great stress on everyone involved. How many times have we seen UFC boss, Dana White, giving an interview and explaining what happened with fighter “x” as to why he/she is out and fighter “z” is in. Well, it’s the same for all promotions including one of the top regional promotions in the country, Ring of Combat. A hotly anticipated matchup between current lightweight champ, Bradley Desir (8-5) and jiu-jitsu specialist, Max Bohanan (6-2) was one of the highlight bouts for ROC 56. Signed and ready to go, fight fans were going crazy for this bout but it was not meant to be as of yet. Unfortunate news came when Bohanan’s team informed ROC he would not be able to compete September 23 at ROC 56. 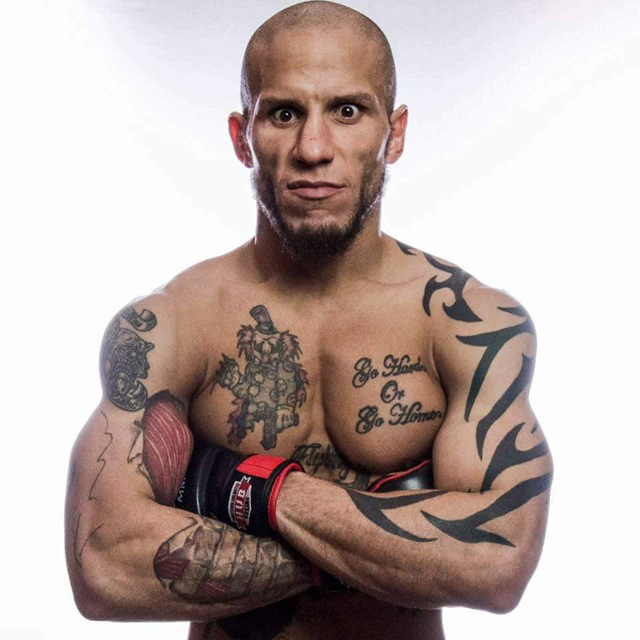 Just like the fight fans, the ROC team was sad to hear of Bohanan being off the card as he has fought his entire career with Lou Neglia’s Ring of Combat and has become a positive face for the promotion. Once ROC head honcho, Lou Neglia, received the news on Bohanan, he did what any other promoter would do, he picked up the phone and went to work immediately. Julian will get his chance to “bang” when he takes on Desir. ROC fight fans always remember Desir as we last saw him at ROC 54 with a sensational TKO against ultra tough, Eddie Lenoci. Taking a fight of this caliber on such a short notice is a dangerous risk for anyone but a risk that needs to be taken. Bradley Desir vs Julian Lane goes down, Friday, September 23 at the Tropicana Atlantic City ballroom. Get your tickets TODAY!